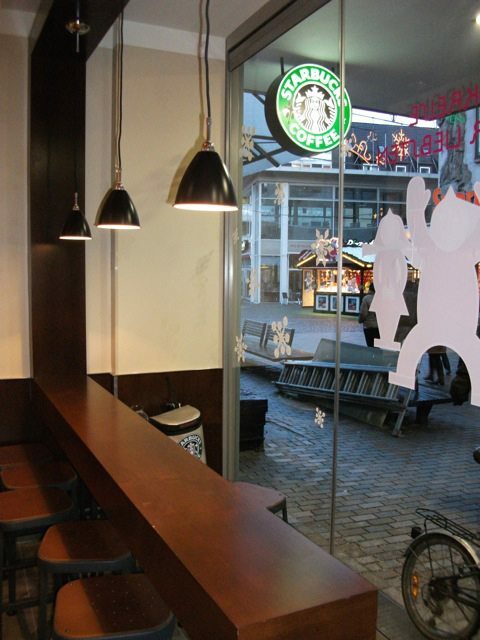 Starbucks opens their 144th store in Germany! Special preview event on 11-24-2010! Sebastian’s luck was fantastic. He says that for the preview event, only ten people were selected in a contest on a Facebook, and he was picked to be one of the ten Facebook fans to go to this preview event! 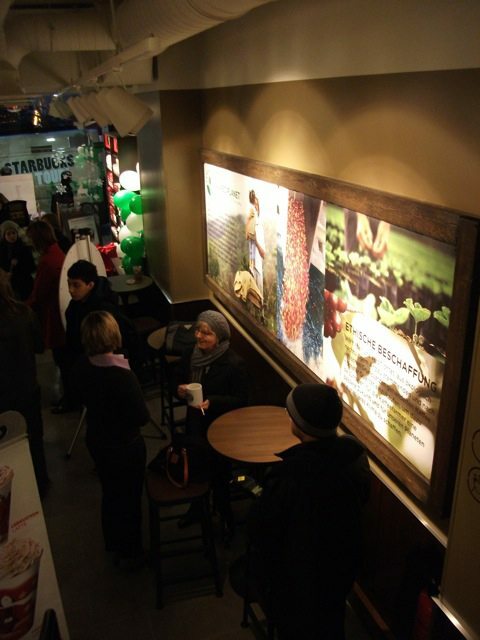 The preview event included nine store partners, a store manager, Daniela Stamm, and the district manager, Christof Opiela. The preview event began with a traditional coffee tasting with Kenya and Christmas Blend for the coffees. The coffee tasting was lead by the store manager. 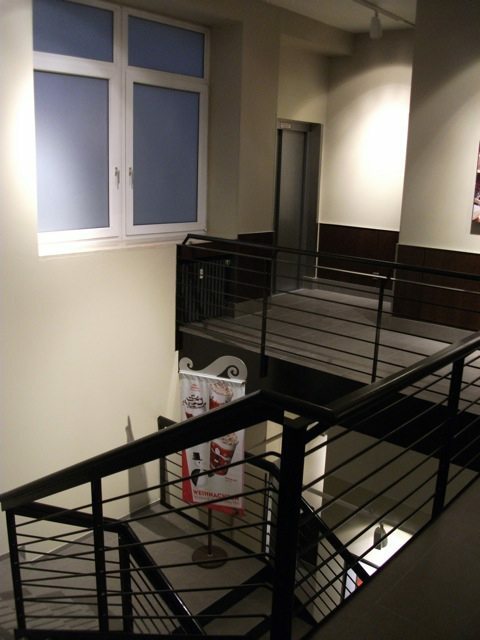 Sebastian reports that the seating area is upstairs and the register/bar area is downstairs. He says that the event was fun, and that the partners seemed very happy and relaxed and it was a great atmosphere. It sounds like it was a success. From the news article, I like the description of syrups in coffee: “Wer’s süß mag, bekommt einen Schuss Sirup dazu, je nach Gusto mit Pralinen-, Mandel oder dem zurzeit beliebten Lebkuchenaroma.” ((Whoever wants something sweet, (can) get a shot of syrup in the coffee, according to one’s gusto, with chocolate-, almond or at the moment, the beloved-gingerbread aroma.)) That’s a great syrup description. If you’ve got the gusto for it, throw in a shot of syrup in your coffee. Some people really do go for the gusto when it comes to syrups! One interesting piece of trivia that Sebastian picked up while at the event: A new Starbucks in Germany typically takes about 18 months before it starts turning a profit. Below are the photos he took from the event. I particularly like the photo of the condiment counter: I am not totally sure I can identify everything on it. 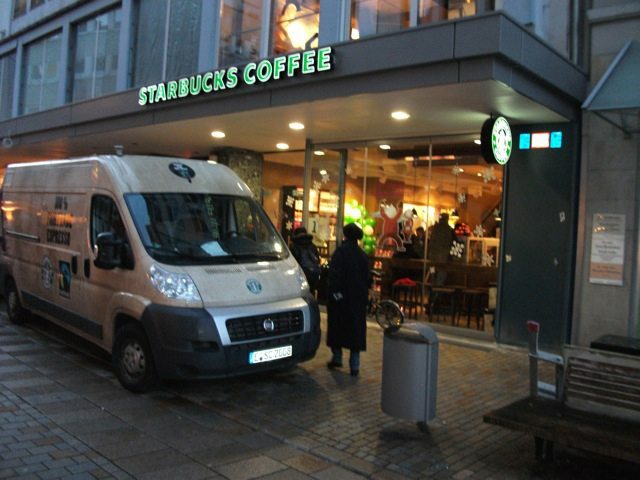 It is amazing how Starbucks is expanding internationally, though Germany is a very small market. 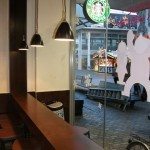 Starbucks has stated that their largest international market will one day be China. From reading the article and in conversation with Sebastian, this looks to be in fact a new store, and not a major remodel of an existing store. Enjoy the photos, and feel free to weigh in … It seems like the odds are small that anyone who was actually there will be reading this, but if you have been to this store, I would love to hear about it. Feel free to comment in either English or German. 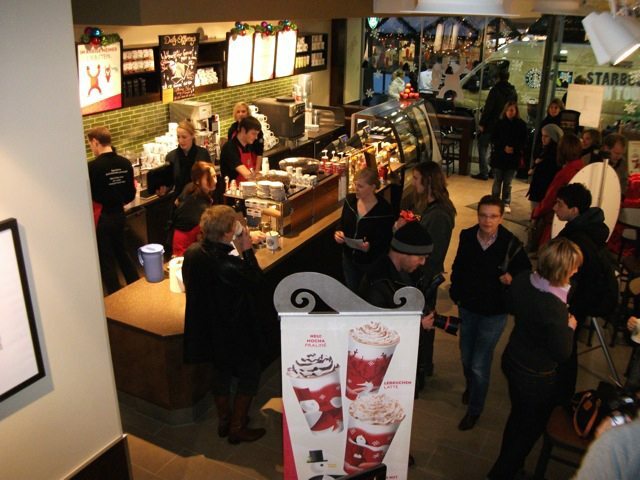 Awkward Customer Moments: Do You Know Where to Stand at Starbucks? 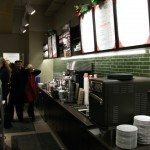 New Starbucks Stores in Western Washington! 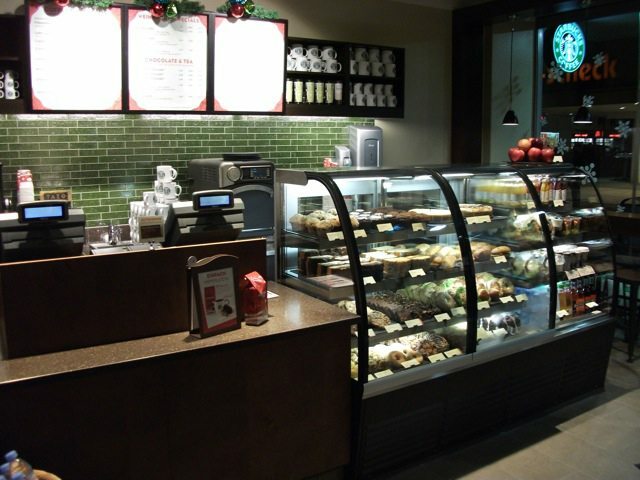 Your Starbucks World (Your Photos from the Mailbag). What a beautiful store! 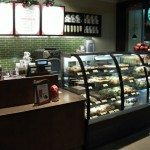 SB really has been putting alot of effort into the design of international stores. Have they given up on stores in the USA? Thanks Sebastian. Sebastian thank you for taking these pics and sharing them. Yes you’re right they should’ve invited me! 😉 I agree! I fixed the broken link. You are right about the news article being hard to read… I struggled to get through it and it took me a long time to read it. There were some strange sentences. Well, obviously it is only hard if you are not fluent! @purple1 – Speaking of new stores in the US, at the last quarterly conf call, I think Howard said there would be 100 new stores in the US in fiscal 2011, mostly licensed … but PLEASE do not quote me on that. I don’t really remember for sure, It might have been 500 I heard not 100, but it definitely was not a number bigger than 500. 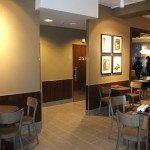 I think Starbucks has their hands full with all the major remodels going on in the United States – So many stores getting their major 10 year remodel. I feature those stores all the time, like that beautiful store in Gold River, CA, and the 4th & Seneca Store, and the 6th & Union Starbucks (Andrea’s coffee tasting store). What I am trying to say is that all these many stores getting big remodels probably does eat up some resources for new stores. I would assume? I am interested in the German buildings. That has the good design which only an old building can have. 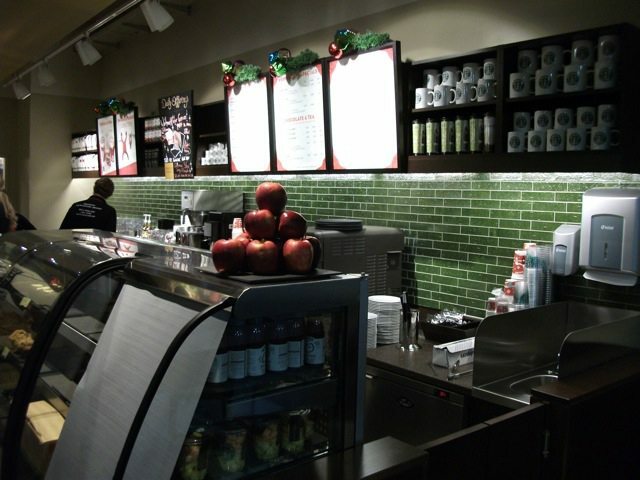 The Starbucks store fuses to the artistic building. Excellent! The store is beautiful. Thanks for continuing to share the @Starbucks world from everywhere. Remodels are expensive projects. 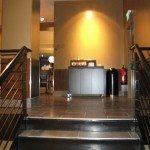 I’ve worked through a few retail remodels ~ they are truly investments in the confidence of the store to build on it’s customer base. @Sebastian – congratulations on winning such a cool opportunity! @Sebastian I am glad that you were chosen as one of the lucky facebook fans and got to share the event with us through Melody! The store looks very much like a store here, I am sure if i ever travel outside the country Starbucks will be my hiding place when I get homesick. 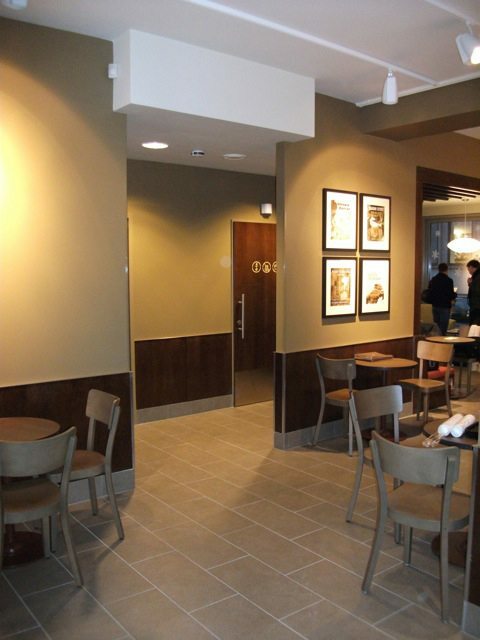 Congrats again to Starbucks for the new store. Every new store opening deserves a round of congrats! @amazonv – So that is honey at the condiment area? I guess that would make sense. I looked at them and thought they looked a bit like butter packets, but they’re too large for that and honey makes a lot more sense. Thank you as well!! That’s what I love about Starbucks, too. Every store in each country is on one hand very different looking from the other ones due to cultural aspects/architecture etc., but on the other hand very similar that they all let us feel like in our local store at home. Good point! 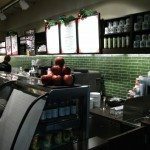 I love the same-different battle that goes on within Starbucks designs. 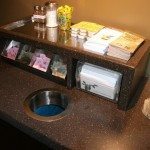 There are certain elements that are the same from store to store, but so much that’s different! 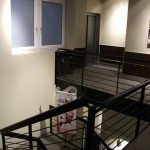 Even the same elements put into one store or another come out differently within the space and it’s interested to see how that plays out. @Melody – Your impression of the quarterly conference call seems on target to me. 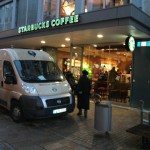 Congrats on 12^2 stores Starbucks Germany! Maybe I can beg my teacher to stop by here on my trip! Awesome job Mel. And now let me read that German again and see if I can memorize it! My first impessions were: lucky Sebastian! 10 people chosen! how fun. 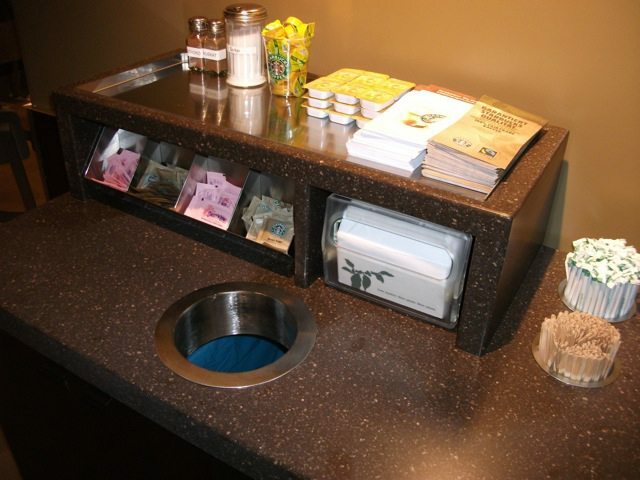 Then I too was struck by the condiment bar: I’ve never ever seen such a neat clean one, ever…pretty sure. I was thinking those look like butter paks too but did guess they probably were honey! Also cool the Siren on what appears to be the raw sugar….. very cool. It was a bit odd to me (but see, they walk so much more than we do in Europe) that one had to go from one level to another with drinks…or did I understand that wrong? BUT, my totally favorite thing was the syrup translation! that was beautiful, really beautiful! Congrats on the new store! As for new stores here, I would hope for updates and/or remodels, really, more than MORE stores. Of course, that’s easy for me to say with a Sbux within every mile or two in any direction! pretty pics and pretty thread! Thanx Melody and Sebastian. Very cool post and congratulations Sebastian! 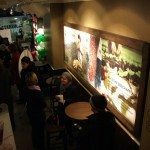 If I recall correctly, Starbucks is opening many of its new international stores as “company owned” while their US growth is primarily licensed stores. It will be interesting to see if there is a widening divide between these two types of stores and how the experience changes across markets (and owners). Kudos to Sebastian for being chosen to go to the event! The pictures are wonderful. Congrats to German store 144!!!! 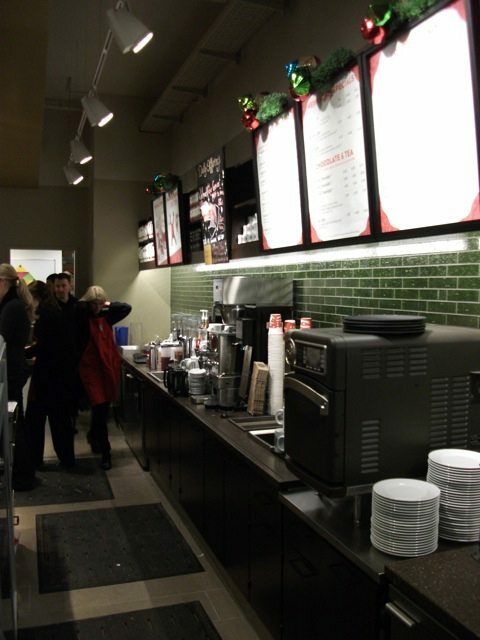 It seems that Starbucks designers are going for cleaner, simpler, and, perhaps, smaller in terms of almost everything! The oven is almost half the size of many I see around the Houston area (although I have seen a couple small ones in the Austin area). I really like the RTD/pastry case being all higher rather than split between lower and upper shelves. This store is truly beautiful! How was your Thanksgiving, Melody? Mind you this is a guess based on the appearance of the packaging! *laughing* this post really threw me when i first started reading! I forget you speak german 🙂 writing this post in german with the translation included gave me that *oh! Far away places!!! * feel 🙂 i cant view the pics too well on my cell phone so im looking fwd to checking them out when i get to my other home with the internets lol. I kinda blinked at the turn time for a store to turn a profit…i just sorta assumed it wouldnt take so long. In the long run though id imagine its a good investment! Im sorta dorking out to compare these pics to the pics of the australian sbux and the revamped wine bar sbux to see the similarities and differences in design 🙂 once again im squeeing over the non u.s. Sbux submissions! Thank you for sharing! This design is one of the standard three designs that all new UK, Ireland and International stores will get. Heritage, Regional Modern and there’s another I can’t remember the name of. But this is the most common one with the wonderful open shelving, bright backlights with open brickwork tiling. The new designs are all so well crafted and nice to see them away from the usual ‘Starbucks store’ mould. I always love these posts with photos from Starbucks in other countries! They always make me want to travel. And to grab a cup of coffee. I love the little differences that make these locations unique! Thanks so much for sharing the pictures! And as a side-note, I think it’s so awesome you speak German. It’s a really cool language—it looks bold, it sounds bold. I wish I could speak it! 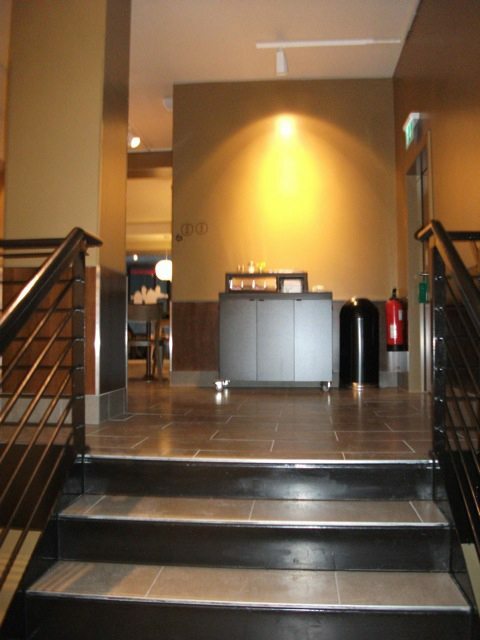 Starbucks is getting HUGE internationally! 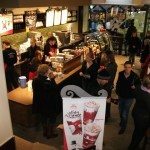 I remember in 2006, the first Starbucks opened here in Egypt, today there are at least 5 stores within Cairo alone! 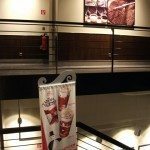 Watched a few photos of Cairo stores on the web…nice ones! Funny, cause I really want to visit Germany again sometime soon! You know, last time I went to Germany, I stayed in a small town near Bielefeld for 2 weeks called Schloss Holte-Stukenbrock, I really loved it there! Is that anywhere near you? I’m so Happy!! 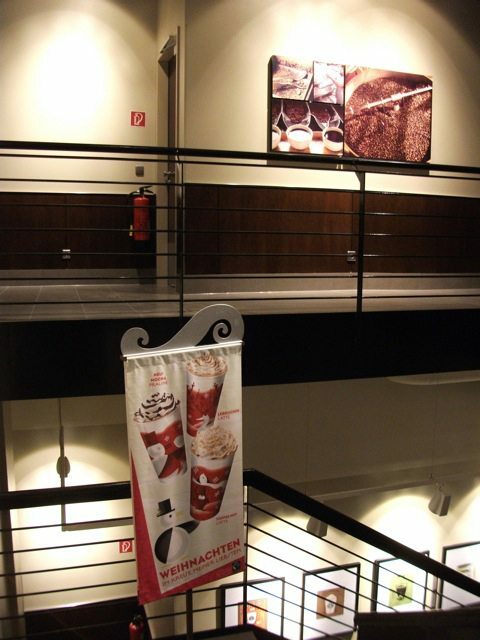 that there is a Starbucks in Germany. My brother moved there from Ireland 40years ago, and I live in the U.S. Sending gifts is challenging with the price of international postage, but now I can just slip a Starbucks gift card into he and his wife’s anniversary card. Thank you Starbucks! !